Home » national news » Did Nawaz Sharif host PM Narendra Modi and Dawood Ibrahim at his granddaughter's wedding? 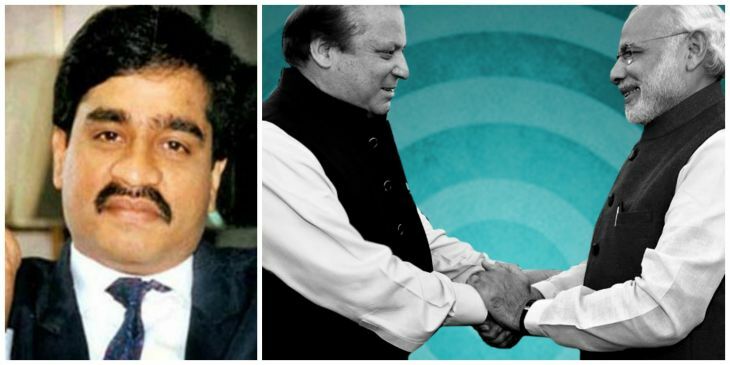 Did Nawaz Sharif host PM Narendra Modi and Dawood Ibrahim at his granddaughter's wedding? The Pathankot attack on 2 January that claimed the lives of seven Indian Jawans is being touted by experts as being triggered by Prime Minister Narendra Modi's unprecedented surprise visit to Lahore a week earlier. Not only did PM Modi fly down to Lahore to wish his Pakistani counterpart on his birthday, he also attended his granddaughter, Mehrunissa's wedding, and blessed the newly-wed couple. However, what our PM might not have known about was that there was a surprise guest at the Pakistan PM's ancestral residence for the family function, suggests an IBN7 report. This guest is purported to be none other than India's most wanted criminal and mastermind of the 1993 serial blasts, Dawood Ibrahim. A few months ago, India had prepared a dossier on Dawood's known hideouts in Pakistan. According to Indian intelligence agencies, Dawood operates out of Karachi and has residences in other prominent Pakistani cities a well. Pakistan has, however, never accepted the role it plays in providing a safe haven for Dawood. The media report on the apparent betrayal comes in the backdrop of Pakistan taking several steps to crack down on the alleged Pathankot attackers and uncertainty over Foreign-Secretary level talks. On Wednesday, according to a statement released by Nawaz Sharif's office, acting on the leads provided by India, Pakistan authorities arrested Jaish-e-Mohammad members and sealed their offices. Later in the day, reports also emerged that Jaish chief Masood Azhar was detained. India has accused Jaish-e-Mohammad of organising the attack on the Pathankot Airbase in Punjab. Bigg Boss Double Trouble: Why has Priya Malik become fake in the house? READ NEXT >> Bigg Boss Double Trouble: Why has Priya Malik become fake in the house?